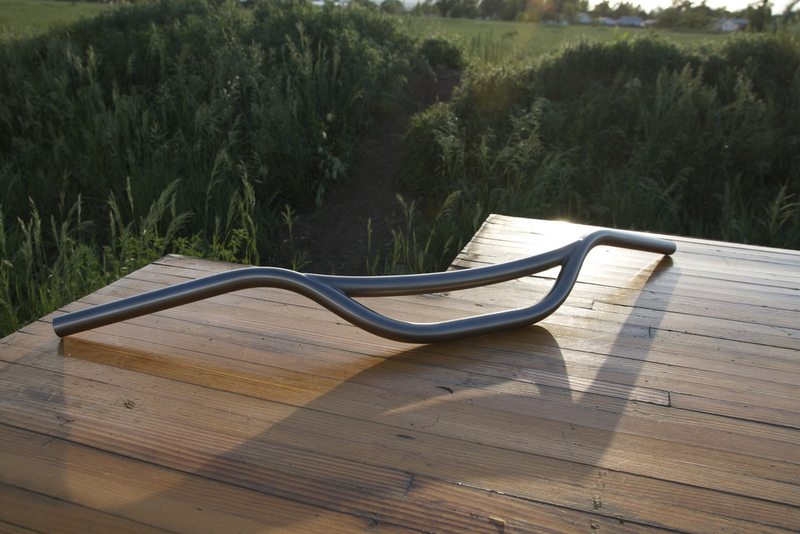 The Moonriser titanium handlebar combines function and form to deliver you a most comfortable and excellent ride. Ditch your headset stack, riser stem, and bring a bit more BMX to your trail riding. Plenty of room on the cross bar for lights and computers or add one of our handlebar pads to give your bar that old school look. 31" wide. 4" rise. 24˚ sweep. 31.8mm clamp (only). Find it for sale in our online store. Need different dimensions? Moonmen will build to spec, so let us know what you need.